Bryon Cassell, the first known resident of the house, purchased the home from Ben Walker in July 1881. However, deed records show that the property was sold for $2600 around 1870, which would indicate that there was a structure already on the lot, which may or may not have been the current structure. Cassell was a clerk for the Louisville, New Albany & Chicago Railroad. In 1887, John Hoover bought the house and would remain through the printing of the 1890-1891 New Albany City Directory. Hoover was associated with the drug company of Charles Hoover & Sons, located on West Main Street in downtown New Albany. Hoover was followed by resident, John Marsh, a mill manager for the Ohio Falls Iron Works in 1892. After Marsh, it appears the home was used as rental property until Nellie and Harold Hockin purchased it in 1917, although the Hockins were living in the house as early as 1910. Other residents associated with the property were; Edward and Marie Reagon, D. Kirk and Fay Hedden, and Marvin and Ethel Hubler. By the late 1940s, Donald and Elizabeth Faulkner were residing in the house, although they would not purchase the property from the Hublers until 1959. They remained in the home until the mid-1960. 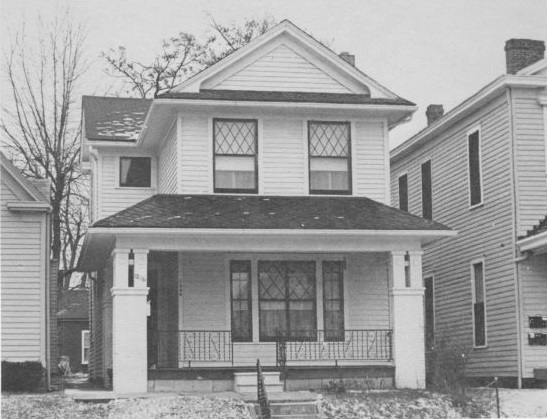 The photo below shows the home as it appeared circa 1974, with its original diamond-pane upper sash on the front windows. 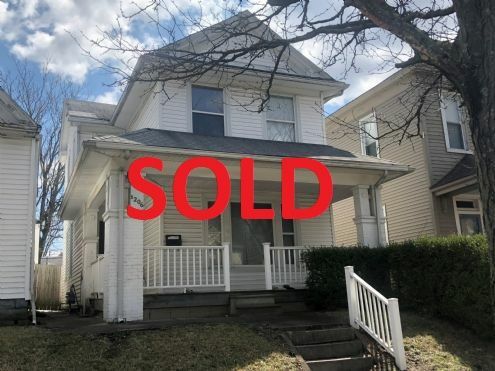 The home is located in the locally-designated East Spring Street Historic District; therefore, any exterior alterations are subject to review and approval by the city’s Historic Preservation Commission. For more information and a copy of the design guidelines for work in the city’s historic districts, visit www.newalbanypreservation.com. The property’s judgment number is 22CO1-1811-MF-001737. With this number you can visit the Clerk’s Office in the City-County building and enter it into their computers to find the judgment owed on the property. This is public record.